This is a great to add to a stack or wear on it's own. 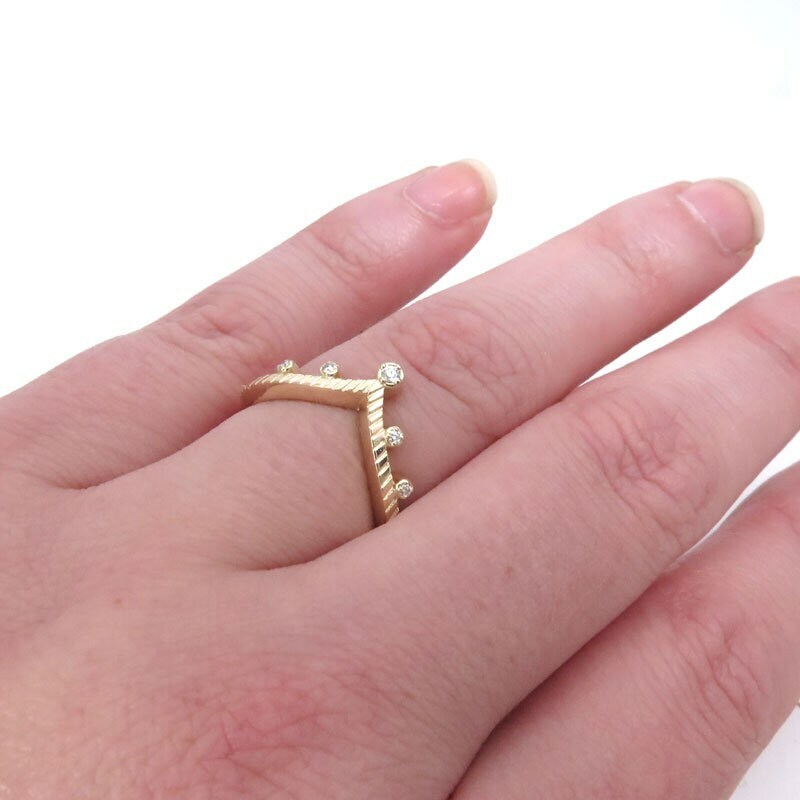 The chevron shape allows it to fit with a wide range of engagement rings. The band has some texture on the top, it goes about 2/3 of the way back. 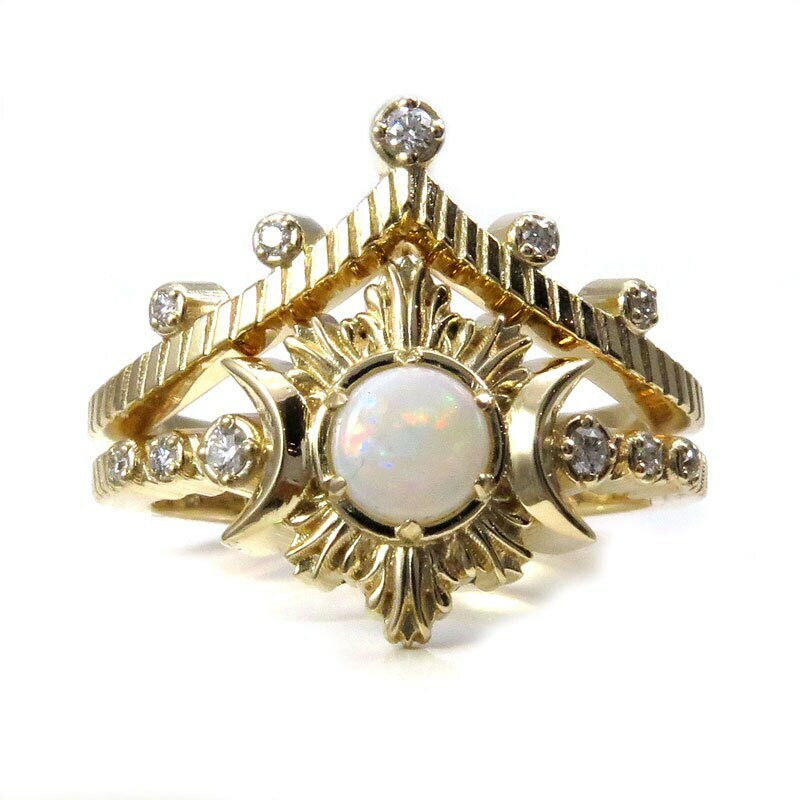 The very back of the ring is smooth so that it can be sized. It is set with 5 tiny white diamonds, they are VS clarity and G-H in color, they have a combined weight of approximately .03 carats. 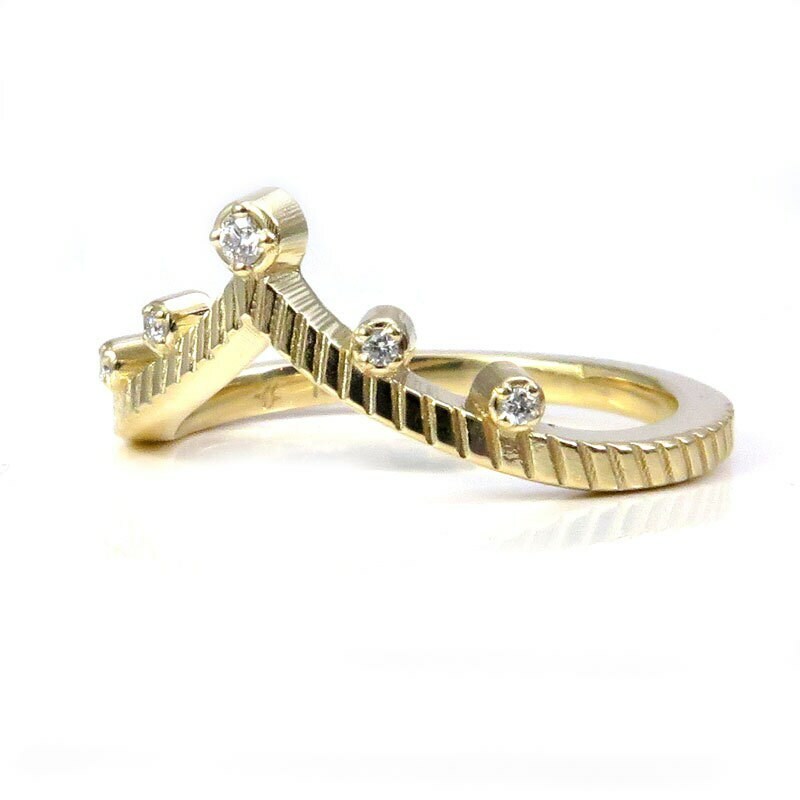 This ring can also be set with black diamonds or a combination of black and white diamonds upon request. 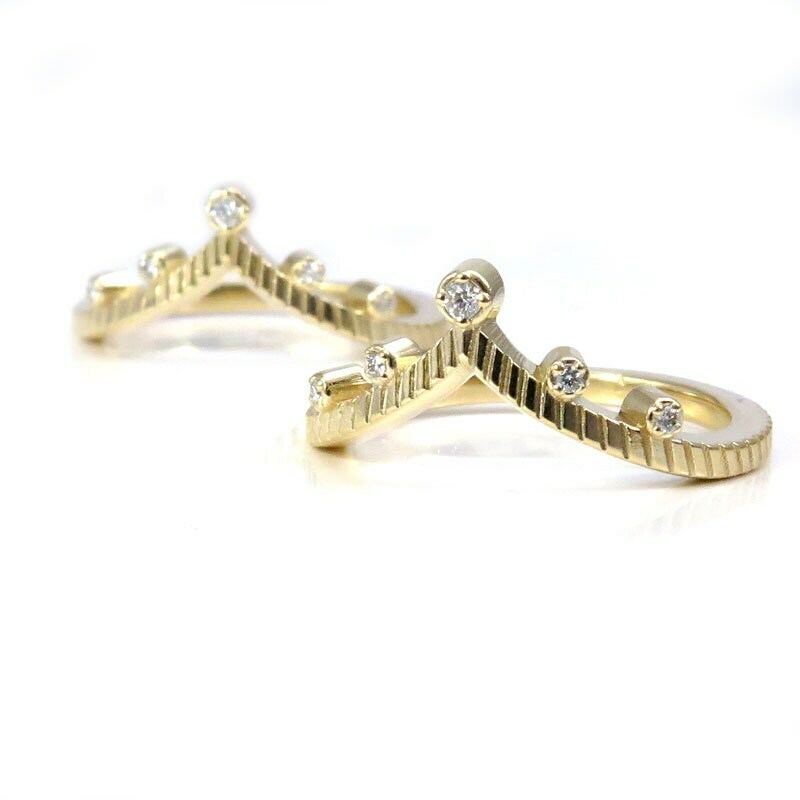 The ring is shown here in 14k yellow gold, it can also be made in 14k rose gold or 14k palladium white gold, we do not plate any of our metals and they are all nickel free. 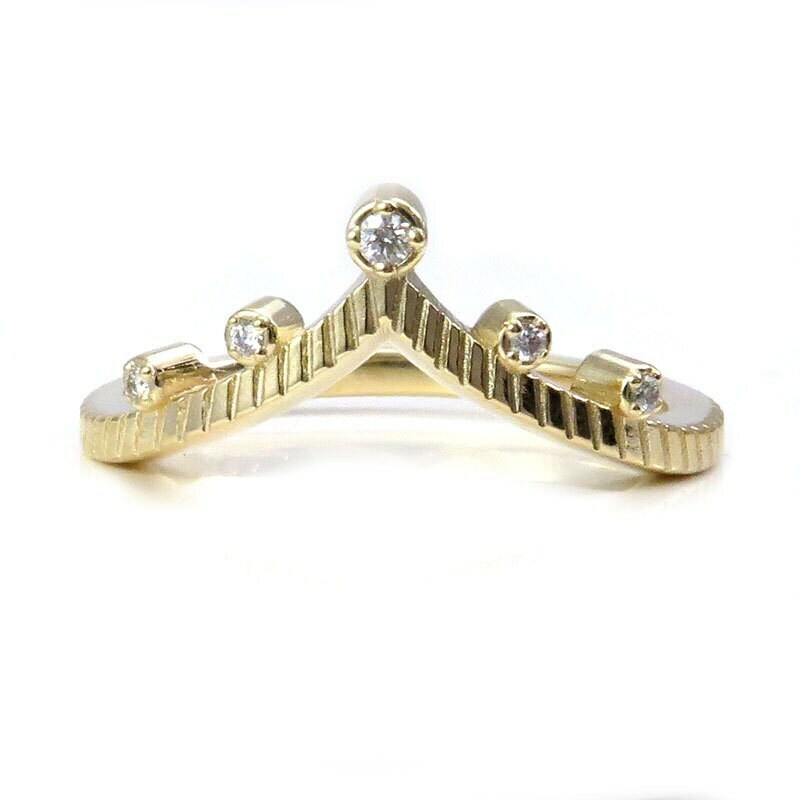 The band itself is about 1.9mm's wide, it is a little wider at each diamond portion.